Hen party badges can neatly substitute hen party sashes and personalised t-shirts, especially if you'd rather dress in your own clothes. They make classy alternatives, appropriate for an older audience, or even just lovers of floral and vintage designs! Our slogans include 'Mother of the Bride' and 'Maid of Honour'. 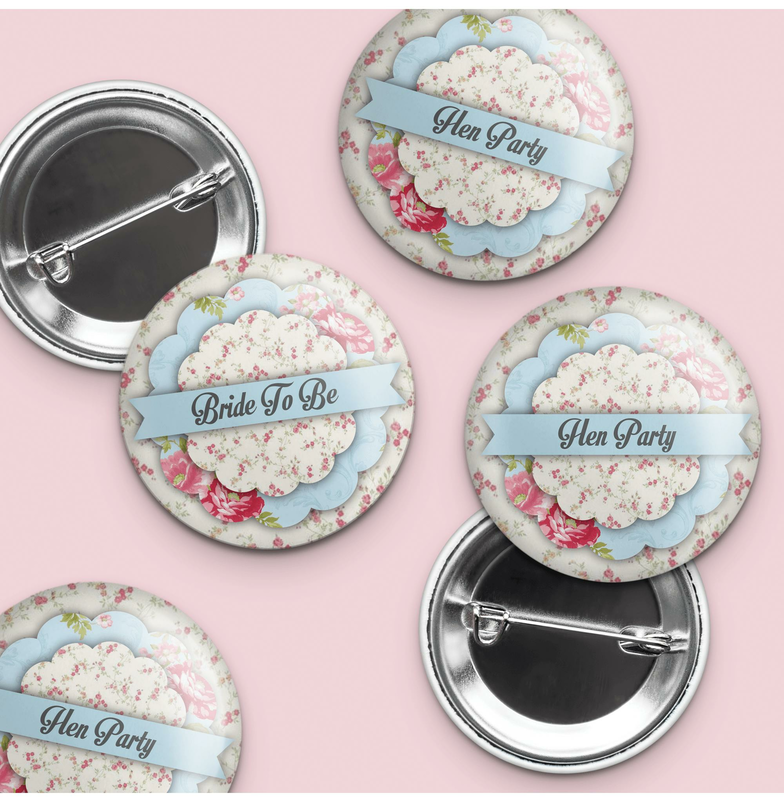 Brighten up your hen party, with some vintage pastel colours.